We are pleased to bring this immaculate 2011 Ford F-350 Super cab 4x4. 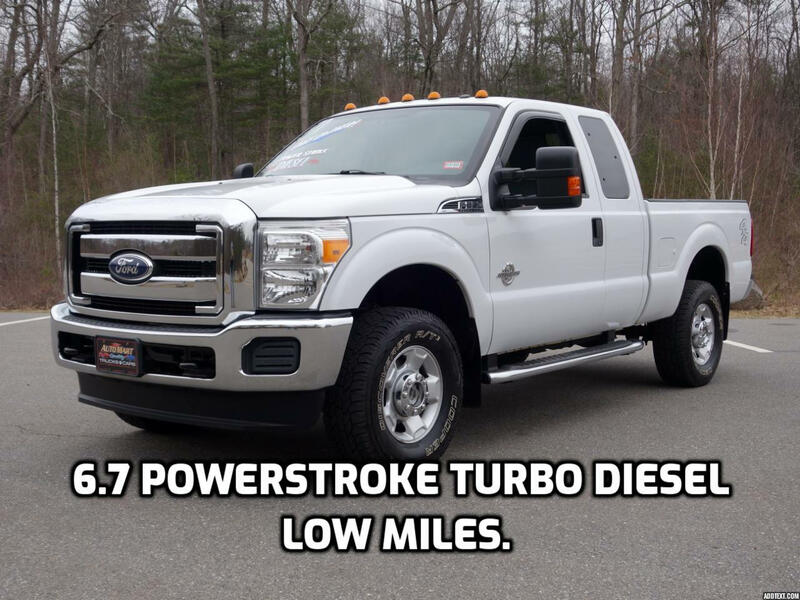 It features an all stock, 6.7 liter Power stoke V8 delivering 800 ft/lb torque and a six speed automatic that can easily handle up to almost 12,000 lbs of towing. This F-350 has been lightly used and extremely well kept. Its original Oxford White paint, panels, chrome and exterior trim are fantastic. Clean, non smoking owners kept its comfortable grey seats, dark charcoal carpeting and upholstery trim spotless. Just serviced with a complete four wheel brakes and recent Cooper tires. It comes complete with a NH State Inspection and clean Car Fax history report. ** Hassle free, credit union financing available.